The Mobile Learning Unit focuses on the development of Continuing Professional Development (CPD) online courses for health care practitioners on our eLearning platform. Our website contains news articles, collaboration for online course development, study options for future students and resources for current students. Upon graduation, medical students should have accumulated the necessary foundational knowledge and skills required to deliver patient care. However, there is no clear roadmap, on how to navigate the rapidly changing healthcare system as a medical professional to optimise career choices. Echocardiography evaluation of the heart is a mainstream investigation which is frequently ordered by general practitioners to assist management of patients with known or suspected cardiovascular disease. In Australia, the frequency of TTEs requested has been steadily rising, with over 600,000 TTEs performed between July 2011 to June 2012 alone (Coller, J., Campbell, D, Henry, K. & Prior, D., 2012). Typically, TTE is performed by a cardiology laboratory with a formal report sent to the general practitioner some days later. Focused cardiac ultrasound is a basic examination of the heart using echocardiography, but importantly, it is an extension of the clinical evaluation which is performed in real time by the treating general practitioner (Royse et al., 2012). The world’s population is rapidly ageing, increasing the prevalence of many chronic diseases more commonly seen in older patients. Osteopenia/osteoporosis and sarcopenia are two conditions, which are increasingly diagnosed in frail older patients, both placing significant burden on the individual as well as more widely across public health domains [1, 2]. Both conditions share common risk factors and biological pathways and are associated with significant physical disability, representing a huge threat to loss of independence in later life . “Domestic violence” also known as “Intimate Partner Violence”, refers to any behaviour by an intimate partner (or ex-partner) that causes physical, sexual or psychological harm, including acts of physical violence, sexual coercion, psychological abuse and controlling behaviours (1). It is a pattern of behaviour where one partner is usually exerting power and control over the other partner over time. “Family violence” refers to violence between any members of a family. Diabetes is a high-level priority chronic disease. Worldwide 422 million people are currently living with diabetes (1). There are at least 1.2 million Australians living with diabetes (2). A further 250,000 to 500,000 people with diabetes remain undiagnosed (3). Diabetes requiring treatment with insulin is increasing annually, currently 383,000 people per year requiring insulin (251,000 type 2 diabetes, 118,000 type 1 diabetes, 11,000 gestational diabetes). Of concern, the number of younger adults aged 20-29 years being diagnosed with type 2 diabetes is increasing (4). Around 1 in 8 (13%) Indigenous Australian adults (46,200 people) have diabetes (5). Young adult Indigenous Australians in particular have much higher rates of diagnosis (6). Australia has among the highest prevalence of overweight and obesity in the developed world . Obesity and overweight were the second highest contributor to the burden of disease in Australia in 2011, after smoking , and was responsible for 52% of diabetes burden, 38% of chronic kidney disease burden, 23% of coronary heart disease burden and 17% of stroke burden . Medical perfusion has been practiced as a discipline in Australia for more than three decades. Thus far the training has been conducted on an apprenticeship basis with no formal theoretical component. The Mobile Learning Unit has interviewed Dr. Gerald (Joe) Power vis-à-vis 5 top reasons to study this valuable online course. Perfusion – the technology of organ preservations by the circulation of oxygenated blood outside the body, using a heart-lung bypass machine – is one of the most extreme medical procedures that can be performed on a human body.Open heart surgery is not possible without the ability to replace the function of the heart and lungs for a few hours while the surgery is underway. Providing a motionless, bloodless field for the surgeon is a cornerstone of the surgery.The science of perfusion has been developing since the 1960s. Then, the technology was relatively rudimentary, however rapid strides have been made since then. While it is generally accepted that supervising clinical learners is an important and necessary part of the work lives of most health practitioners, many do not relish this component of their role.Some lack confidence in their teaching skills. Some don’t feel they have the time necessary to provide an optimum learning environment, whilst balancing the needs of their patients. And others feel unsure about how to deal with challenging trainees. Thermal imaging can better predict a diabetes related foot ulcer’s size and the healing trajectory than conventional methods, Melbourne-led research has found. It could also possibly save money through better targeted treatment. Diabetes is the fastest-growing chronic condition in Australia, with one person every five minutes diagnosed with diabetes, and it is increasing in prevalence faster than any other chronic disease, including heart disease and cancer. Time-poor medical practitioners need access to quality, well-structured courses they can study in a flexible manner, in their own time and location, from any device. A new, highly interactive course offering from University of Melbourne does exactly that with VR technology, and hand-on practice model of artificial temporal bone. Aimed at ENT surgeons, trainees, otolaryngology nurse groups and those from hearing implant companies, it offers a step-by-step guide on how to perform temporal bone dissection. Do you need help managing patients with obesity? Any medical practitioner who has tried to treat a patient struggling to lose weight knows the problem. Nearly anyone can lose weight, and they can do it without help. But almost everyone puts it back on again. The statistics are now familiar. Nearly two-thirds of Australian adults and one-quarter of children and adolescents are overweight or obese. And these rates continue to rise, resulting in complex health issues and costing the economy billions. Although healthcare professionals may be aware of the importance of fall prevention in older persons, the newness of sarcopenia and osteosarcopenia means these conditions are rarely diagnosed and risks identified for falls and fractures. Find out more about the Department of Medicine's new professional development course called "Diabetes Academy - What’s new in diabetes?" Mastering Migraine Management, provides healthcare professionals with the latest clinical advances to improve patient lives. Medicine graduates Professors Colin and Alistair Royse have taken a career pathway together armed with a big picture vision coupled with a practical approach.Armed with a vision for creating flexible learning for busy medical professionals and an assessment process that utilizes technological automation; this ethos has proved critical to facilitating the evolution of mobile learning. All courses are 100% online which offers the convenience of flexible, self-paced studying allowing users to study anywhere, anytime! The course tutorials contain many interactive elements to enhance and reinforce your learning experience. You can be quizzed on a particular scenario, watch a video with questions to answer or test your knowledge with various case studies. Our course content is authored by recognised and leading academics in their medical fields. Courses are updated with new information regularly, ensuring you are learning the latest and most important information. Most of our courses contain CPD points. This can range from just a couple of points for the smaller courses to 40 QI & CPD RACGP points for the larger courses. Current accreditation bodies we work with include Australian College of Rural and Remote Medicine (ACRRM), Australian Diabetes Educators Association (ADEA) and Royal Australian College of General Practitioners (RACGP). Some of our courses offer free samples, why not try before you buy. If learning online suits your needs, you can buy and enroll with no delay or enrol in one of the free sample courses. You can find a variety of current courses by clicking on the "Study" tab above. Alternatively, if you have questions you would like to ask, please contact us via the link below. Read more about how our e-learning system could support you with online medical learning. The ability to generate your completion certificate and completion statement straight to your inbox. Access to academic to answer your queries about course content. We provide support for account access, technical assistance and other enquiries. General Practice began as a Unit within the Department of Community Medicine in 1977 and in 2001 was established as a separate clinical department within the School of Medicine; Faculty of Medicine, Dentistry and Health Sciences. The Department was established in 2015 to continue the curriculum development success of the former Medical Education Unit (MEU) but with a broader focus on all aspects of Medical Education scholarship. With a central base at Parkville and academic activity at all of the Clinical Schools, we are working towards becoming a centre of excellence in the scholarly discipline of Medical Education. The Department is embedded within some of the leading academic public hospitals in Australia, and the strong partnership with these hospitals is critical to the work of the Department. The Department is based across seven campuses of the Melbourne Medical School, all at key hospital sites, as well as conducting academic activities in surgery at other hospitals. Participants are required to inform our office in writing if they need to cancel their place on a FUSE/FCU course or iHeartScan workshop. Requests to cancel a course or workshop or to transfer to another course or workshop must be sent by email to support@heartweb.com. In between balancing clinical practice and medical research, it can be difficult for health care practitioners to find the time for their continuing medical education. 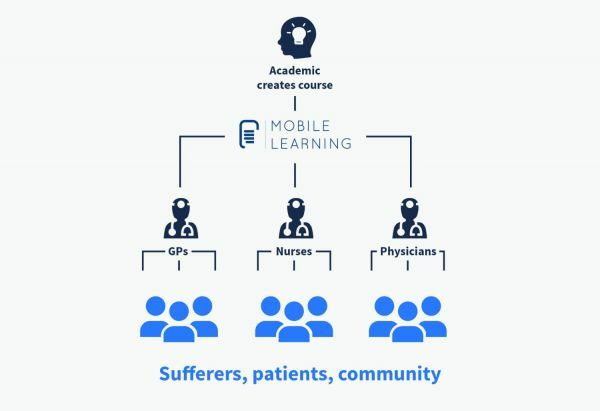 To meet this growing demand, the Mobile Learning Unit was established by the Melbourne Medical School as a pivot to interconnect academics and researchers to create and deliver portable and flexible continuing professional development with busy healthcare professionals such as general practitioners, nurses, physicians, medical students, doctor in training, et cetera. Our Mobile Learning Unit platform can be accessed, anytime, anywhere, on nearly any device!